Since our family has lived in Europe for almost 5 years now, we have seen our fair share of castles. In fact so many that although we still find them pretty and interesting, we don’t really go out of our way to see them. Castles and churches. Europe has a lot of them to say the least. So when I first heard about the Loire Valley, “The Valley of a Thousand Chateaux,” it was not really at the top of my travel list. Luckily for me, I kept hearing about this area and became intrigued enough to check it out. I’m so glad we did because it was certainly impressive! 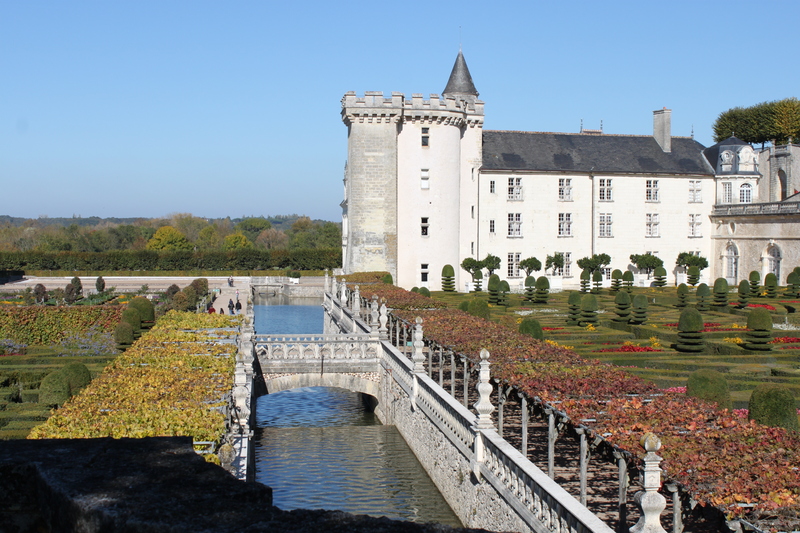 The Loire Valley is definitely not the typical castle scene. We’ve been in many a crumbling castle trying, but failing to envision its grander days. But this was not the case in the Loire! 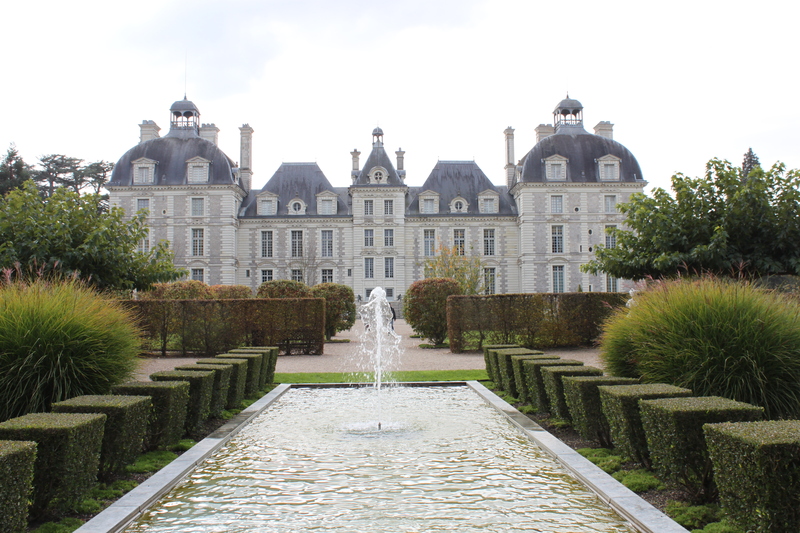 Many of the chateaux in the region are on such a large, grand scale that they command your attention. 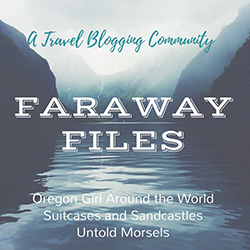 Some of them were filled with so many antiques and beautiful furnishings that it was hard not to imagine myself as a lady of the court with scenes of The Tudors and Downtown Abbey running through my head. Lukasz was quick to remind me that I would have been more along the lines of the help instead of a member of the family, but hey-it’s my day dream! 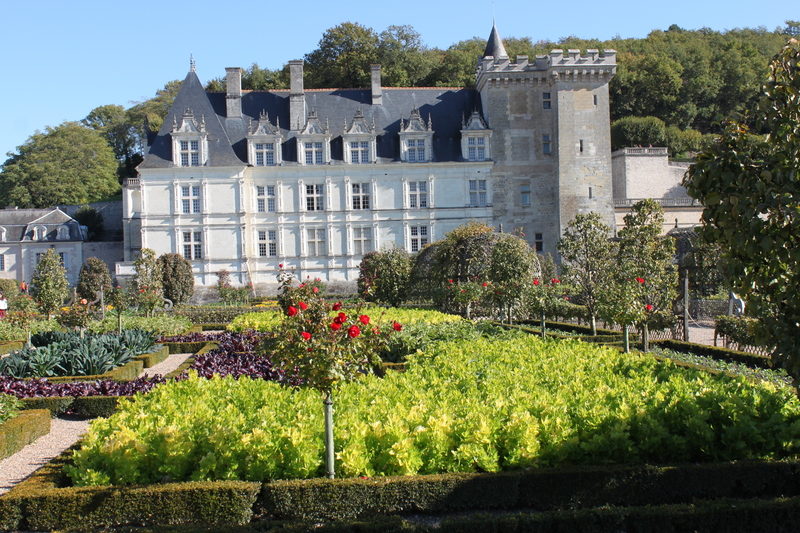 Having been thoroughly impressed by the castles we had seen in our first two days, we woke up on Monday happy that everyone was feeling healthier and ready to tackle some more chateaux. 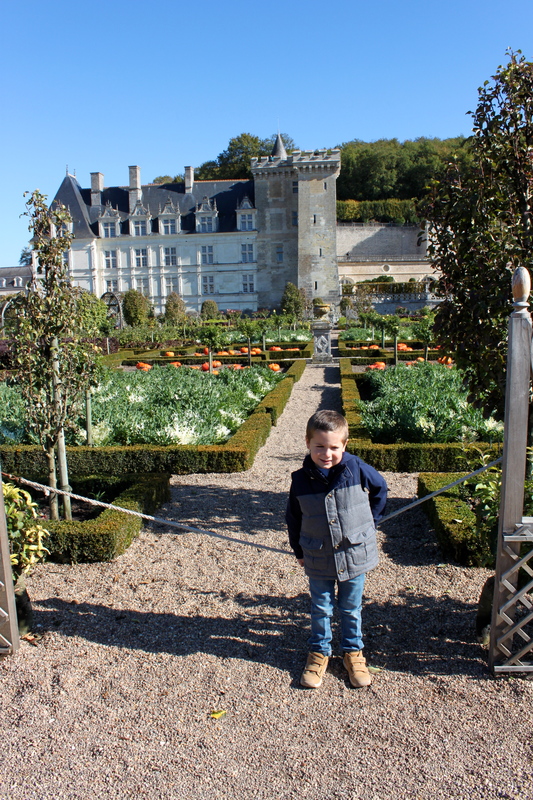 We headed to Villandry first, a chateau most famous for it’s beautiful gardens. While the chateau was lovely on the inside and interesting because it felt a bit more modern, the gardens definitely stole the show. 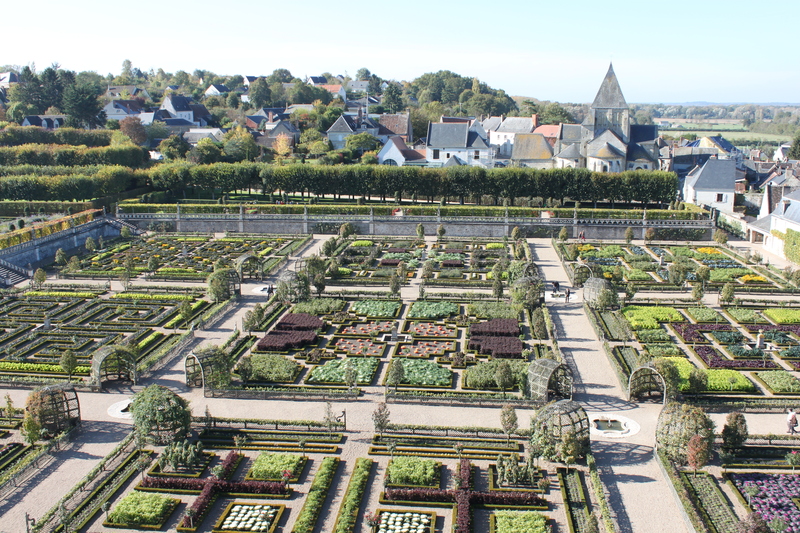 There are 6 hectares of gardens including a huge vegetable garden with over 150,000 plantings. In the fall, the pumpkins are the main attraction of the vegetable plantings. 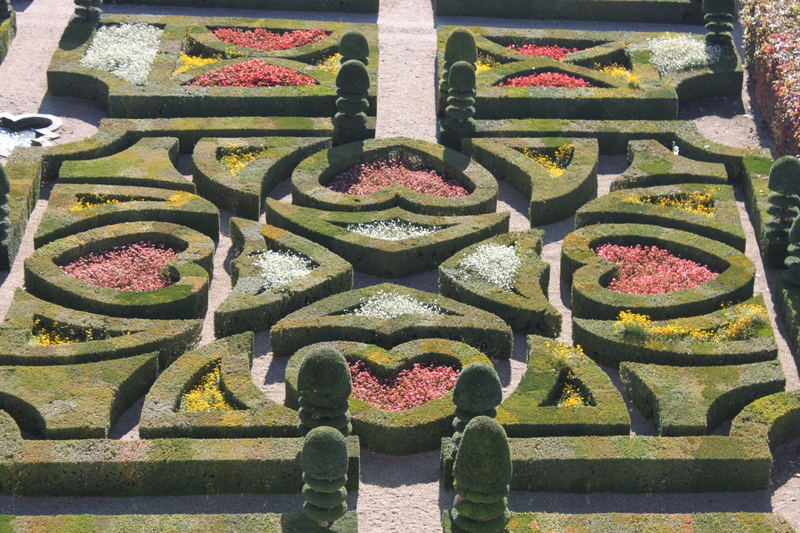 But the gardens a la francaise were our favorite with their symbols of love-so romantic! Climbing to the top of the keep, which was the only remnant from the castle’s medieval days, provided the best views of the French garden. There was also a labyrinth and a wooded path to wander through. We had a really nice morning walking the grounds here and it helped that the weather had turned into a perfectly sunny and crisp fall day. After a break for lunch, we drove to the other castle that was reportedly can’t miss in the area, Azay-Le-Rideau. We had wanted to see this castle because it is surrounded by a moat, the Indre River, and was created to resemble a gothic castle. Since the boys are in the phase of castles and knights, we thought this one would be fun to see. Unfortunately, Azay-le-Rideau is currently undergoing extensive reconstruction which is not set to be completed until next summer so it was covered with scaffolding on all sides except for one. There were nice grounds to walk around here, but since the boys were losing steam we decided to skip the inside and outside tours of this one and head for some ice cream instead. A wise decision, I think! Lukasz and I were celebrating our eighth wedding anniversary this week and so I had asked our VRBO host if she might know a baby-sitter for us to sneak out to a nice dinner one evening. She kindly offered to watch the kids for us herself and luckily, our part-American children go to bed early so it was not a big deal for anyone. So that evening, Lukasz and I went out for a romantic, multi-course French dinner at L’Alliance. And it was amazing! We enjoyed some regional wine, fish, scallops, the fromage course, and some very impressive desserts. We had initially been a bit disappointed because our first choices and recommendations were closed since it was a Monday, but this place was really wonderful. One of my top meals ever, I think! 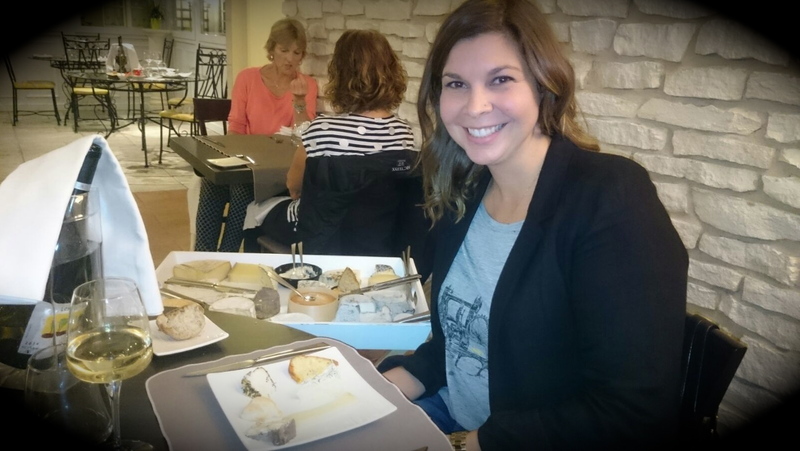 Love that fromage! I think I might be turning into a Francophile! It was a great celebration and we spent the evening feeling truly lucky to be able to spend our anniversary in such a fun location. We were heading back the next day, but planned to make a couple more chateau stops on the way. 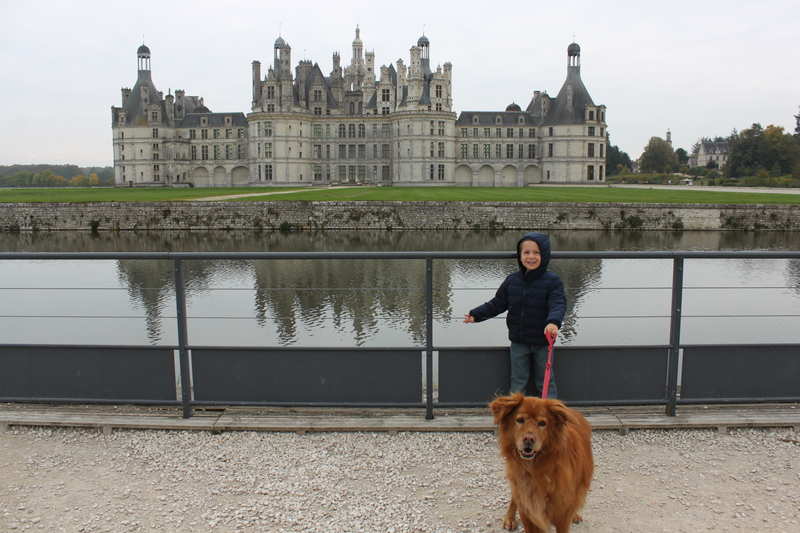 We were planning only to stop at Chambord as that was the one castle I really knew before researching our trip. I knew it was impressive and didn’t want to miss it. 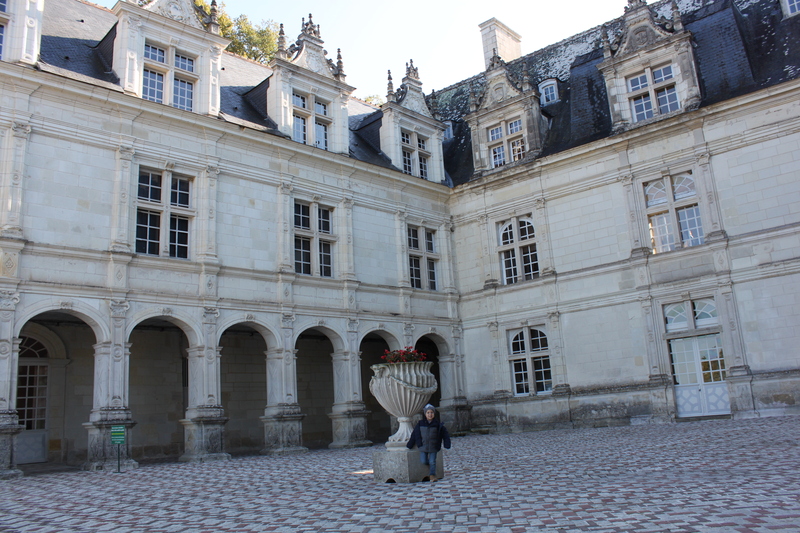 However, our host advised us that we could see Chambord from the outside for free and that we really should not miss the interior of Cheverny, which in her opinion was the most beautiful of all the chateaux. 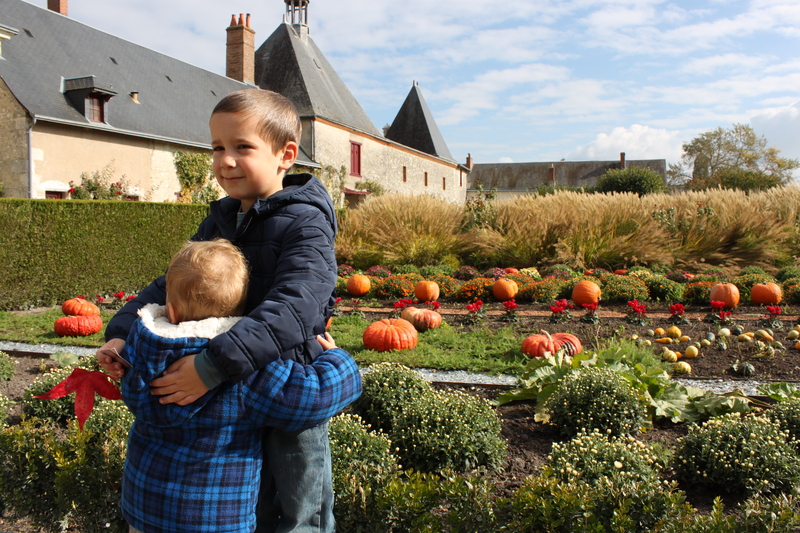 So we headed first to Cheverny to check it out. We were really glad that we didn’t miss this one-it was beautiful! 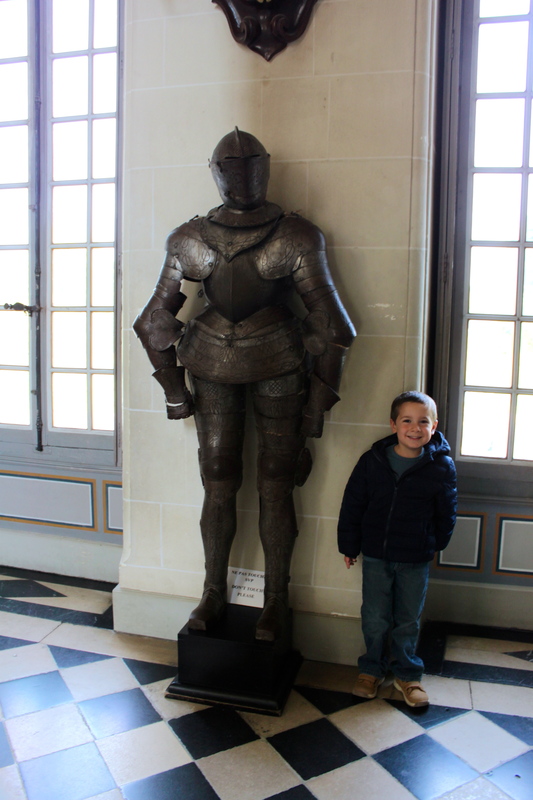 This is one of the few Loire Valley chateaux that is still occupied by a noble family and there is a room in the entry dedicated with wedding photos and a family tree. 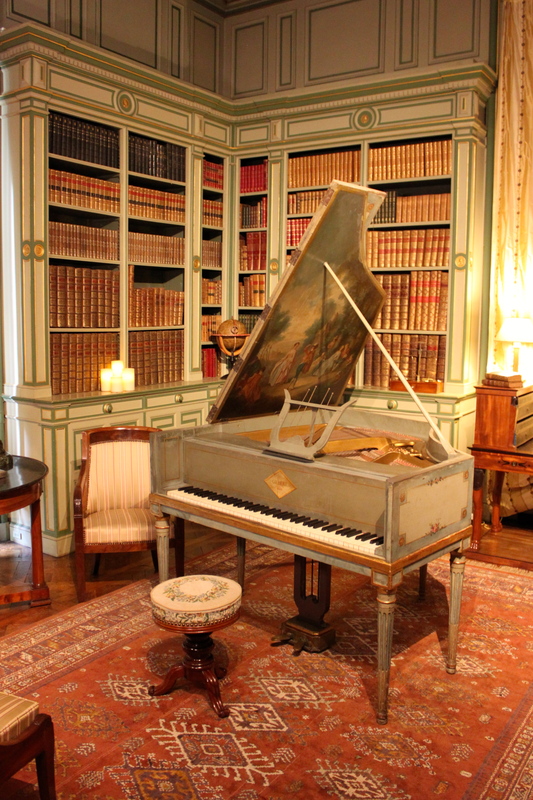 The furnishings were beautiful antiques and artifacts from the 17th and 18th centuries. 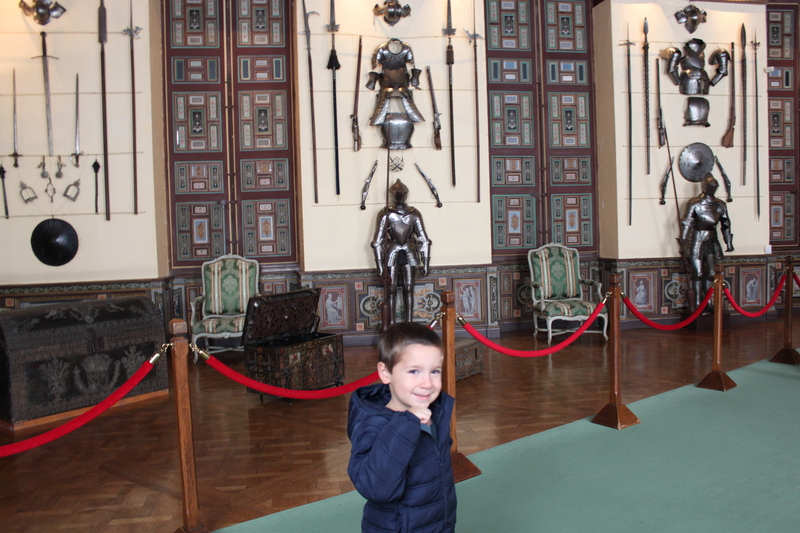 We especially liked the hall of arms and the king’s bedroom. The interior was stunning and really very interesting. 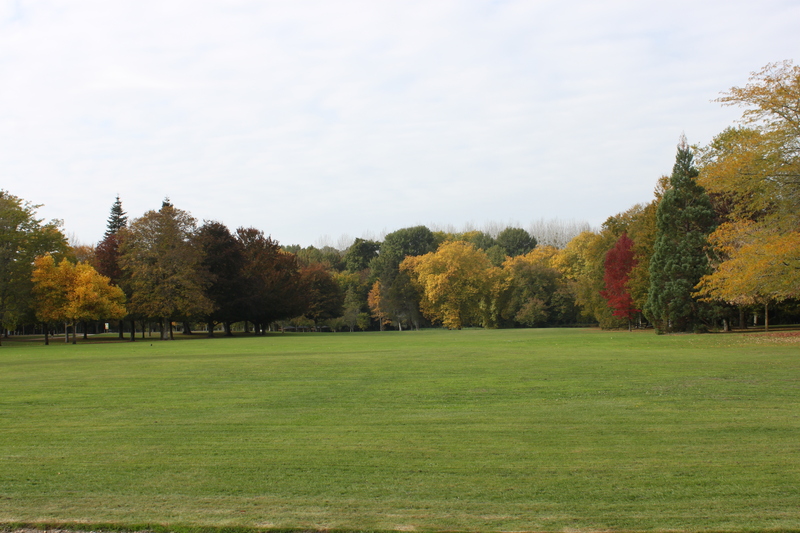 The chateau also had a large forest park where you could go for electric boat or car rides. We would have loved to do the boat, but sadly didn’t have enough time. 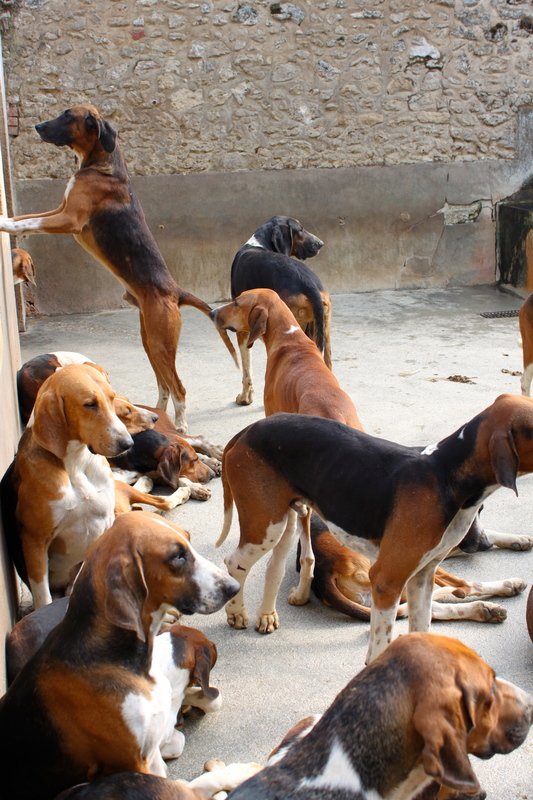 We did also enjoy walking through the vegetable garden and stopping by the famous kennels where the hunting dogs are kept. 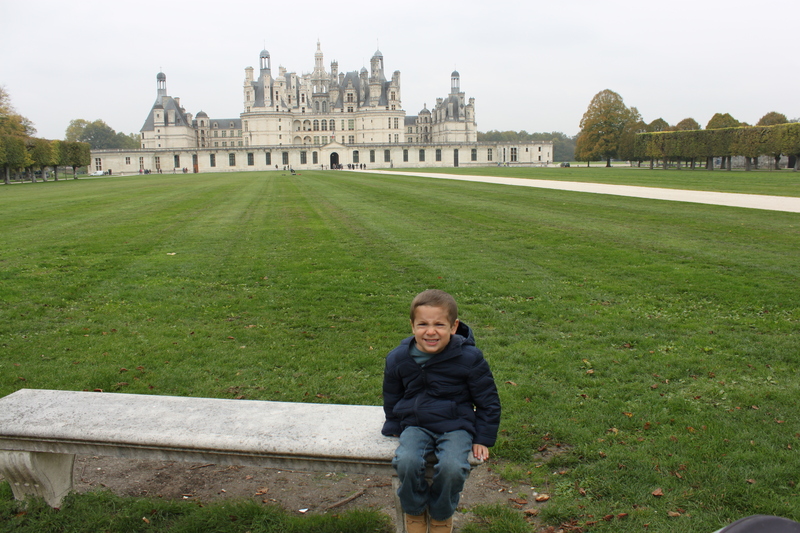 After this, we headed to our final stop of the trip, Chambord! 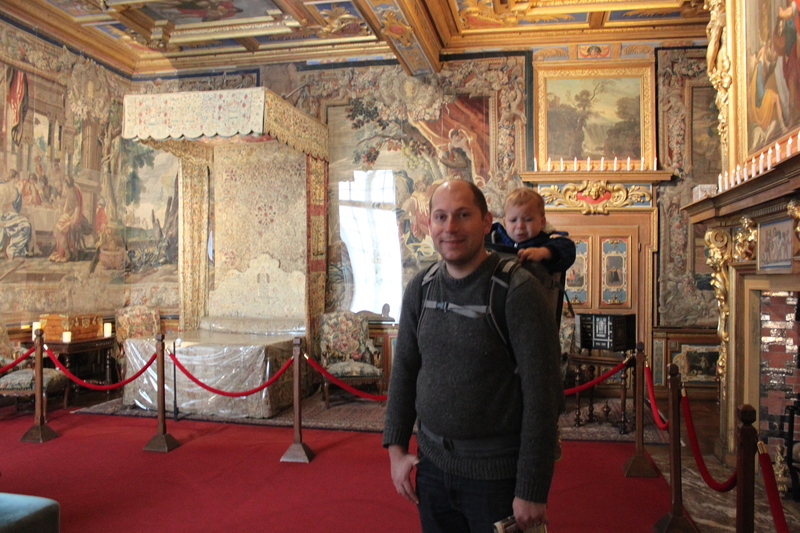 It was just as impressive as I had imagined and while Mason had a little nap in the stroller, we enjoyed a picnic with a lovely view of the castle and a stroll around the outside. 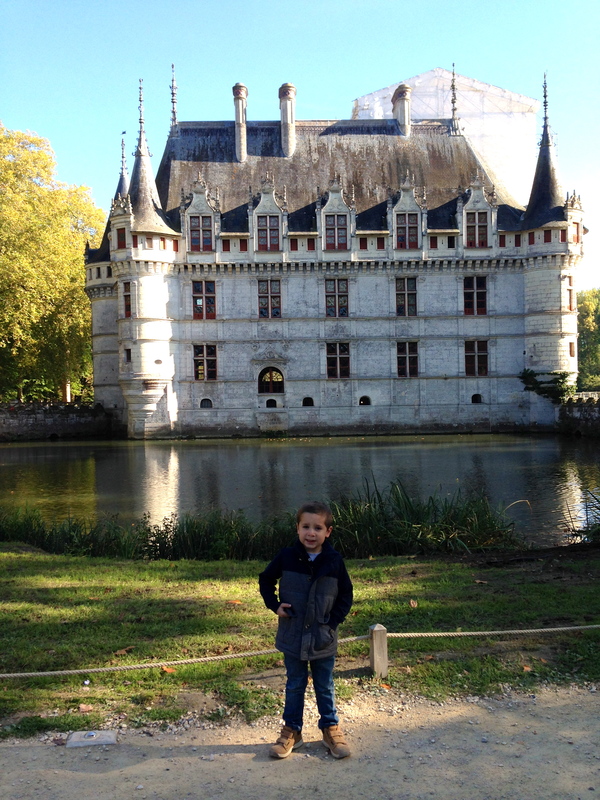 It took a while because the chateau is huge! It was established as a hunting retreat and is set in the middle of a royal game forest. We did wish that we had time to tour the interior to see the famous double helix staircase (rumored to be designed by da Vinci) and the view from the turreted rooftop. There is also an interesting guide to the castle you can download on your ipad, which looked like it would be fun for older kids. You could rent electric cars to tour the grounds or go on a guided 4×4 ride. There were also horse and carriage rides available. Chambord is probably the most famous chateau in the Loire and as such, was definitely the most crowded. It was understandable to see why it was so popular, but we preferred the more private, relaxed feel of the other castles we visited. That was probably only possible though because we toured in the off season-I’ve heard that in summer the whole area is pretty packed. 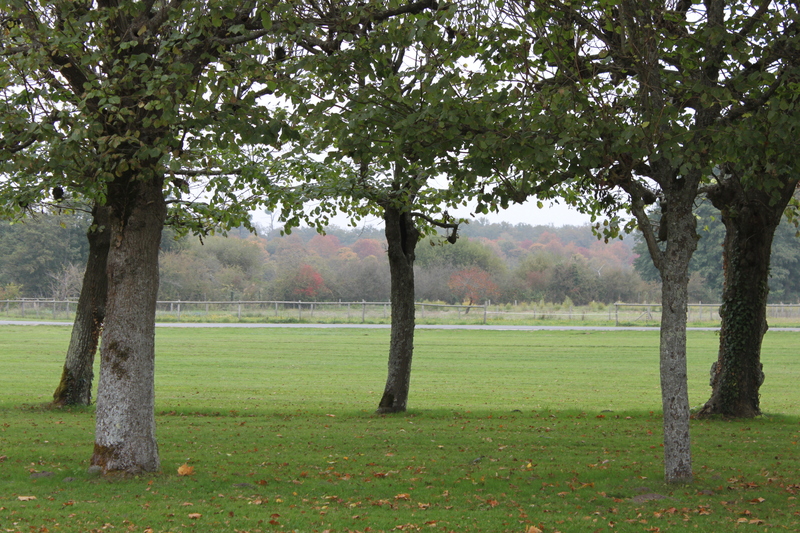 We had heard that the Loire Valley was gorgeous in the fall and with all the trees and forests, it was easy to see why. 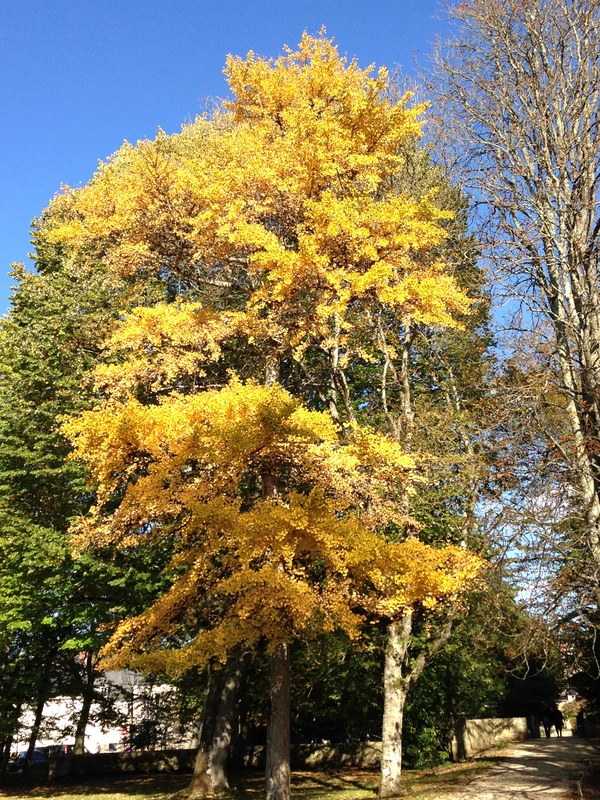 I think we arrived a bit before the peak colors, but we still enjoyed some lovely autumn scenery. It was a great trip, and we felt like we just barely brushed the surface of what the area had to offer. 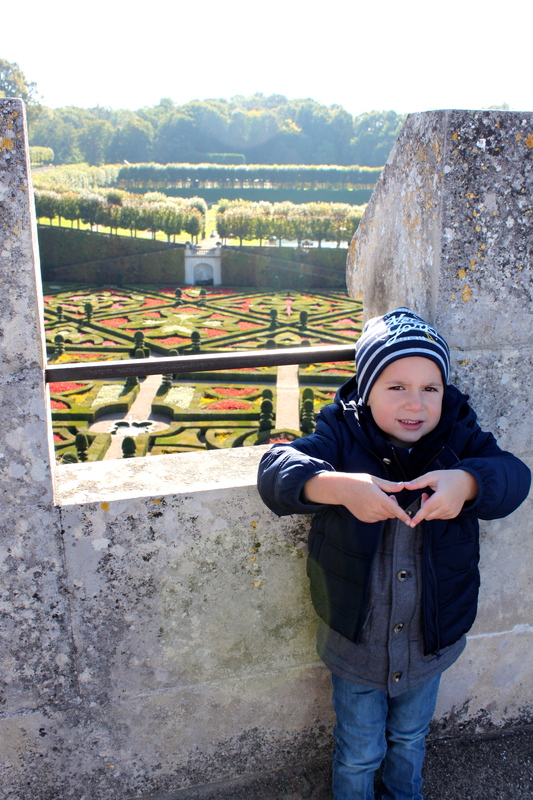 We really enjoyed everything we saw and felt that Amboise was a great base to explore the region. The boys came home with a souvenir-a castle and some knights-and have been playing “castle” every day since the trip. A success all around, I think! 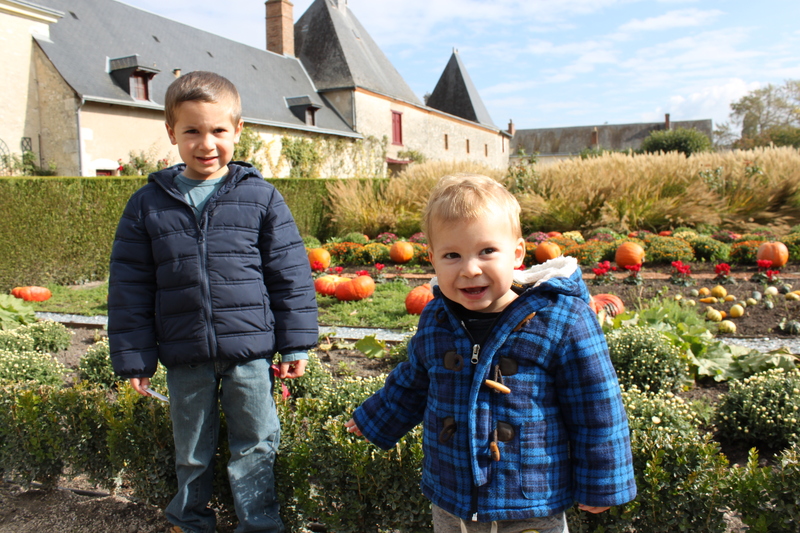 Previous PostCastles of the Loire Valley Next PostHalloween!